Leonard Adams (1946-) began his career with the UMass Amherst Libraries in May 1974 when he was hired to work as an Exit Check on the night shift. Before earning his MLS at the University of Rhode Island in 1975, Adams worked in Circulation and Serials, after which he became Serials Cataloger and Bindery Supervisor, and in 1980, Government Documents Librarian. He added Patents and Trademarks to his job duties in 2004. A founding member of the Boston Library Consortium’s Government Documents Interest Group, Leonard Adams served the UMass Amherst Libraries for 33 years before his retirement in May 2008. Adams’s papers provide insight into the inner-workings of a Government Documents Repository and convey, even in their brevity, the nature of the work of a Government Documents librarian. Included among the papers are professional correspondence, a Government Documents Technical Processing Manual and articles written by Adams, Adams’s annual reports and performance reviews, and other documents relating to Adams’s long tenure at the University Libraries. The largest division of the American Library Association, the Association of College and Research Libraries (ACRL) is an organization of information professionals employed in the wide variety of academic libraries. In 1972, the ACRL authorized formation of regional chapters, including one in New England, as a means of supporting professional growth among academic and research librarians by sponsoring workshops, conferences, and other opportunities for learning, consultation, and collaboration. Representing over forty years of records of a regional chapter of the ACRL, this collection offers thorough documentation. The collection includes a nearly complete run of bulletins, information on the organization and administration of the chapter, and some “historical” materials gathered for the chapter’s tenth anniversary. Situated at the confluence of the east and west branches of the Swift River in western Massachusetts, Enfield was the largest and southernmost of the four towns inundated in 1939 to create the Quabbin Reservoir. Incorporated as a town in 1816, Enfield was relatively prosperous in the nineteenth century on an economy based on agriculture and small-scale manufacturing, reaching a population of just over 1,000 by 1837. After thirty years of seeking a suitably large and reliable water supply for Boston, the state designated the Swift River Valley as the site for a new reservoir and with its population relocated, Enfield was officially disincorporated on April 28, 1938. The records of the town of Enfield, Mass., document nearly the entire history of the largest of four towns inundated to create the Quabbin Reservoir. 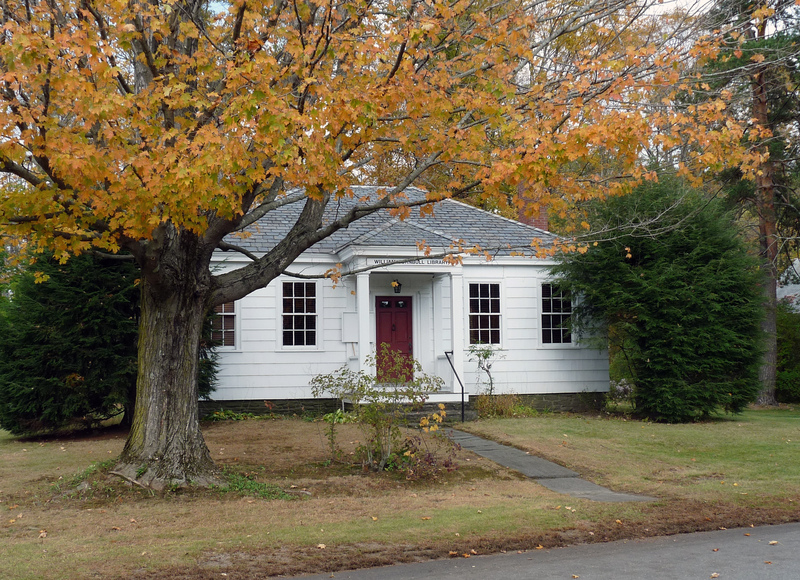 The core of the collection consists of records of town meetings and of the activities of the town Selectmen, 1804-1938, but there are substantial records for the Enfield Congregational Church. The School Committee, Overseers of the Poor, the town Library Association, and groups such as the local chapter of the Daughters of the American Revolution and the Bethel Masonic Lodge. A book collector, doodler, and bibliographical expert, Sigfried Feller was the University Library’s Chief Bibliographer and oversaw the Library’s collection development from 1967 to 1991. Feller, who was born in Essen, Germany and moved to America when he was two, began his academic career in the humanities, earning a B.A. in English from the University of Michigan in 1950 and an M.A. in German from the same school in 1951. His contact with scholars in Germany and his interest in German bibliography would stay with him throughout his professional career. Feller earned a Masters in Library Science from the University of Illinois, Urbana-Champaign in 1960 and would remain a librarian until his retirement. The Siegfried Feller Papers document Feller’s professional career at the University through Feller’s correspondence with colleagues and professional organization as well as book dealers and collectors, including Otto Harrasowitz and Martinus Nijhoff. Also included in the collection are published and unpublished writings by Feller and annual reports from his department in the Library. 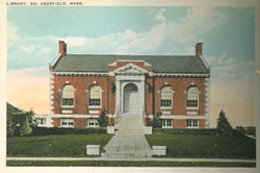 William Turnbull Library, Ashfield, Mass. Since his youth in Mexico City, Carlos Heiligmann has traveled with a camera in hand. An industrial engineer by training and documentary photographer by nature, he has captured images throughout his world travels, and recently has concentrated on recording libraries in the small towns of western Massachusetts. 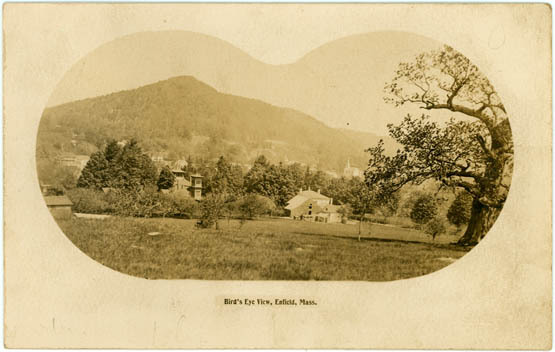 The digital photographs that comprise this collection document nearly four dozen public libraries in Berkshire, Franklin, and Hampshire counties in western Massachusetts. In May 2017, a group of archivists and librarians convened at the Moving Image Archiving and Preservation Program at NYU’s Tisch School of the Arts for a two-day colloquium on the impact of environmental change on historical memory institutions. The speakers in the Libraries and Archives in the Anthropocene colloquium explored the profound implications of cataclysmic climate change on the missions and practices of cultural heritage institutions, the challenges confronting them, and the opportunities for future efforts and investigations. This digital collection consists of video recordings of each of the sessions held at the Libraries and Archives in the Anthropocene colloquium. Following the keynote address by Roy Scranton, each day of the colloquium consisted of two or three panels of twenty-minute talks, a round of five-minute lightning talks, and a concluding plenary and discussion. Beginning in a room in the first South College building, filled with books donated by faculty, staff, and students, the University Library has grown to include over three million items. After expanding into larger quarters in the Old Chapel Building in 1884 (the first campus building designed as a library), the library was relocated to Goodell Hall (1935) and the University Library tower (1973), named the W.E.B. Du Bois Library in 1996. Other library facilities on campus have included libraries for the biological sciences, physical sciences, and the Music Library, as well as the Integrated Science and Engineering Library in the Lederle Graduate Research Center. The collection consists of basic administrative records of many library departments, the records of the Library Director (1924-1975), other materials that document the library, its staff and activities, and information about the design, construction, and dedication of the W.E.B. Du Bois Library tower, the Hampshire Inter-Library Center (HILC), and Five College cooperation. Situated in a region known for its progressive spirit, the Western Massachusetts Library Club was established in 1898 to respond to the unique needs of librarians overseeing small or rural libraries, and to foster camaraderie among local colleagues. Almost immediately, however, the club expanded its focus, taking positions on issues ranging from modern library practices to national legislation and leading the way in the expansion of services for public libraries, all while maintaining its identity as an advocate for local libraries and librarians. The collection is richest in records that document the early history of the club including detailed meeting minutes, news clippings, programs, and circulars. Beginning in the late 1960s, the club’s activities are captured primarily through membership lists and meeting notices and programs. Taken together, the records trace the growth of the WMLC for more than a century from its establishment to the present. The Western Massachusetts Regional Library System was formed in 1962 as the Western Regional Public Library System, one of two organizations that provided professional support for the public librarians of the Commonwealth. Through the years, the two regions increased to three and then six, with the west consistently serving as a voice for the many small libraries that comprise its membership. 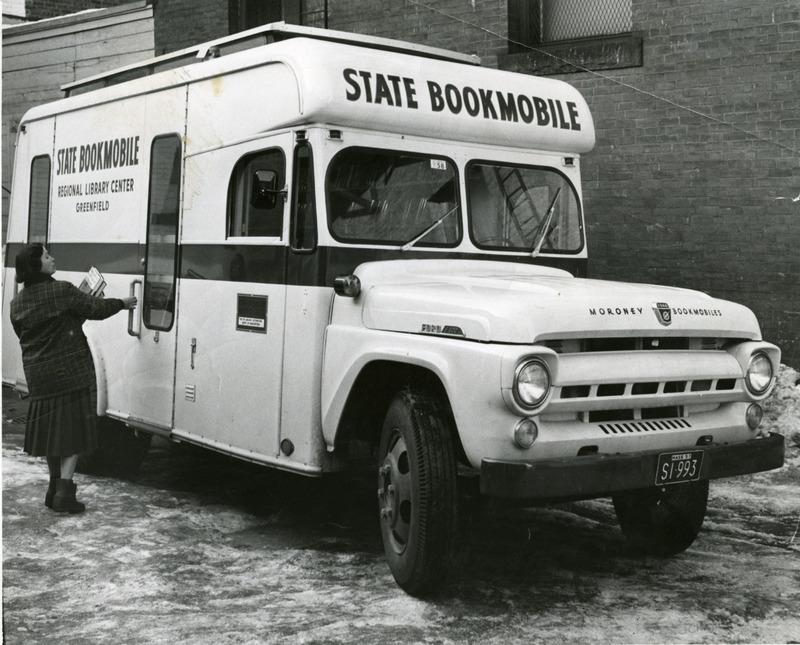 Supported by funds from the Massachusetts Board of Library Commissioners, WMRLS provided a range of services, including continuing education for librarians; bookmobiles, delivery services, and interlibrary loan; reference support; catalog support and online databases; and youth services; as well as a purchasing cooperative. Following the national economic crisis in 2008-2009, WMRLS was consolidated with the other five regional library systems in Massachusetts and in June 2010, merged into the Massachusetts Library System. The WMRLS collection contains a complete run of its newsletter from 1962 to 2010, copies of newsletters for continuing education and youth services, and a small assortment of administrative documents relating to its history and the services it provided.